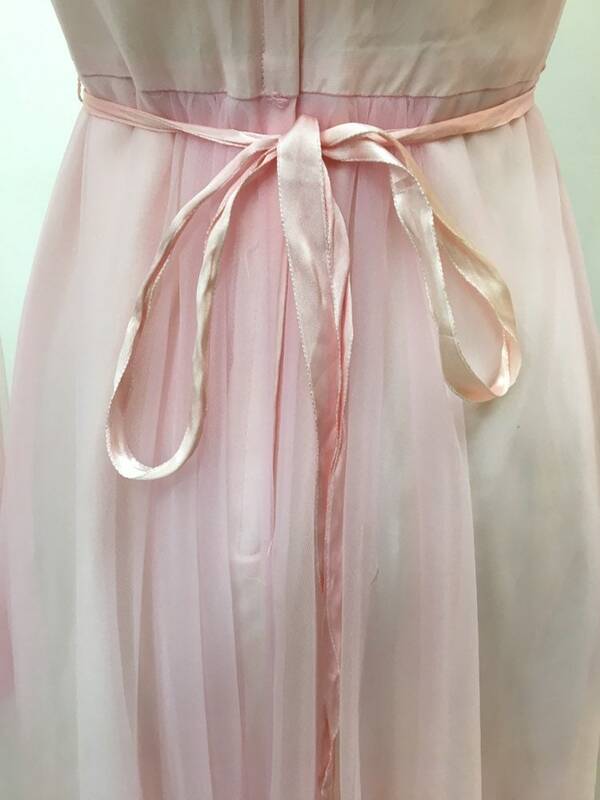 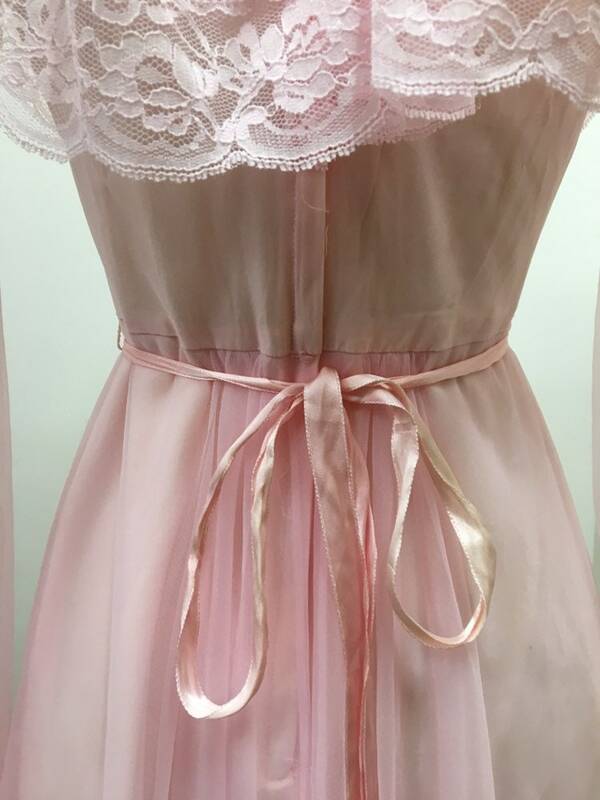 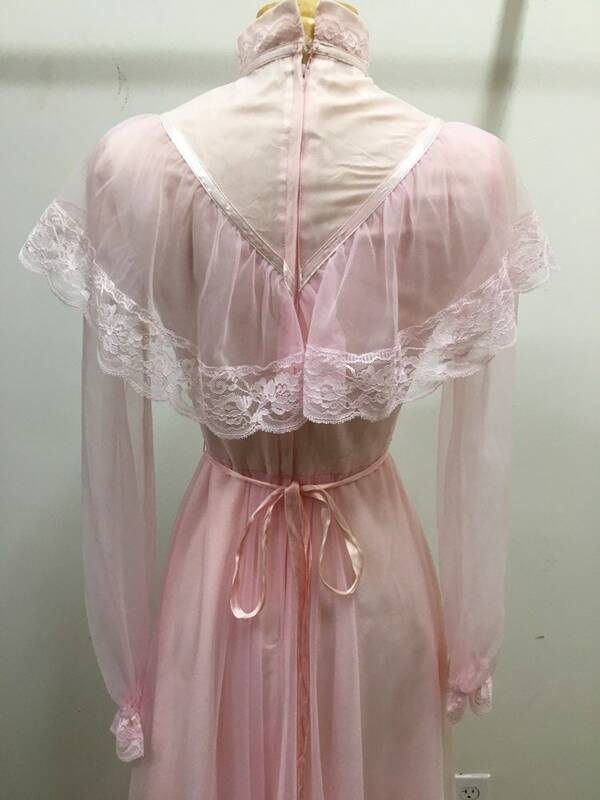 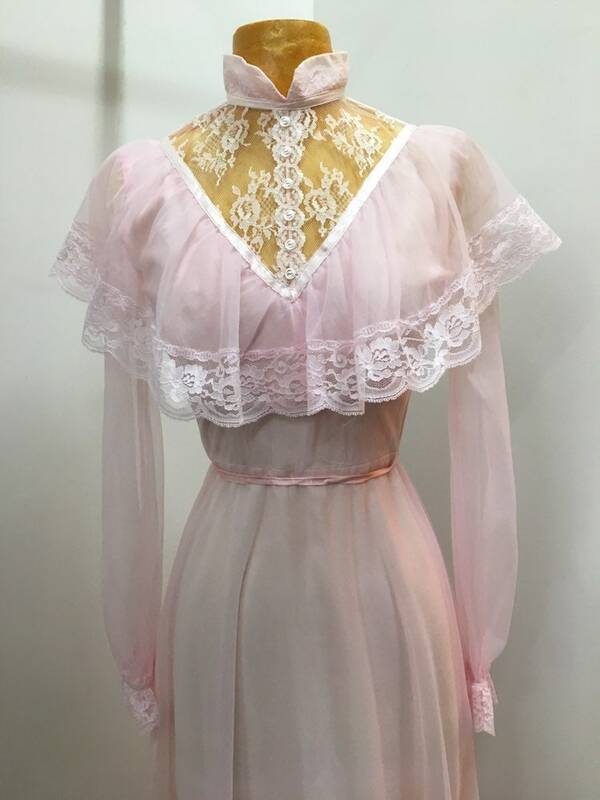 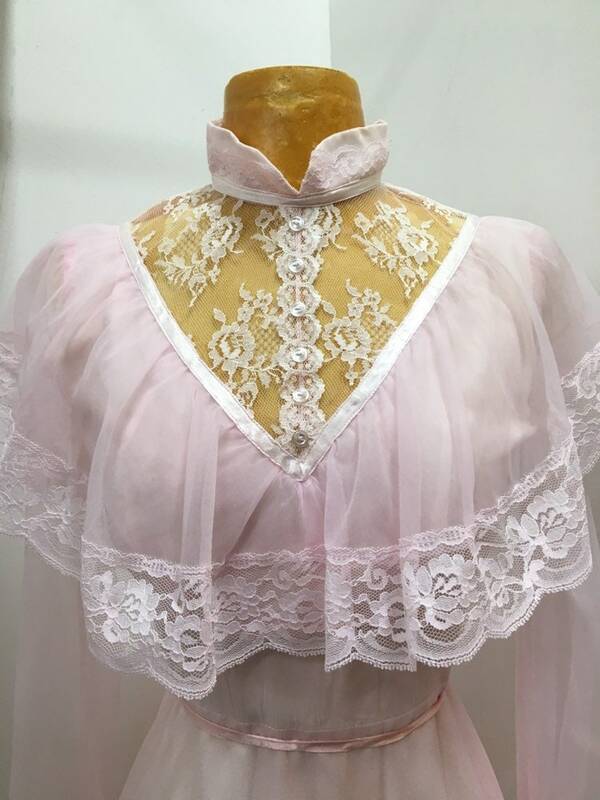 Heavenly Victorian pink nylon gown. 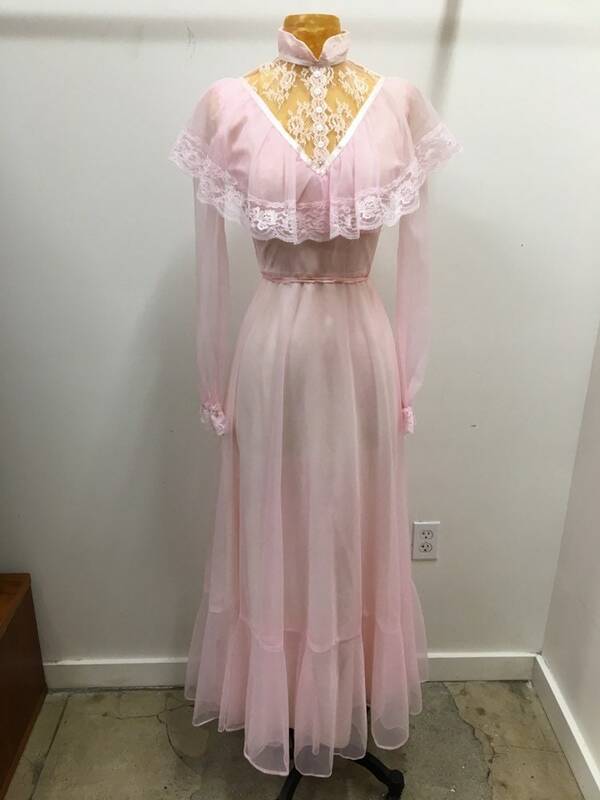 This is an incredible gown. 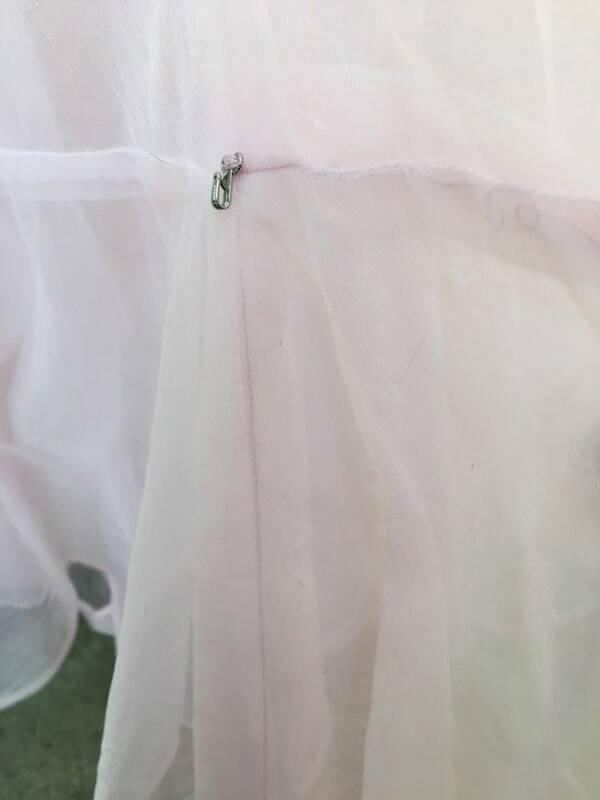 There is even a hook on the skirt in the back for shortening the hem. 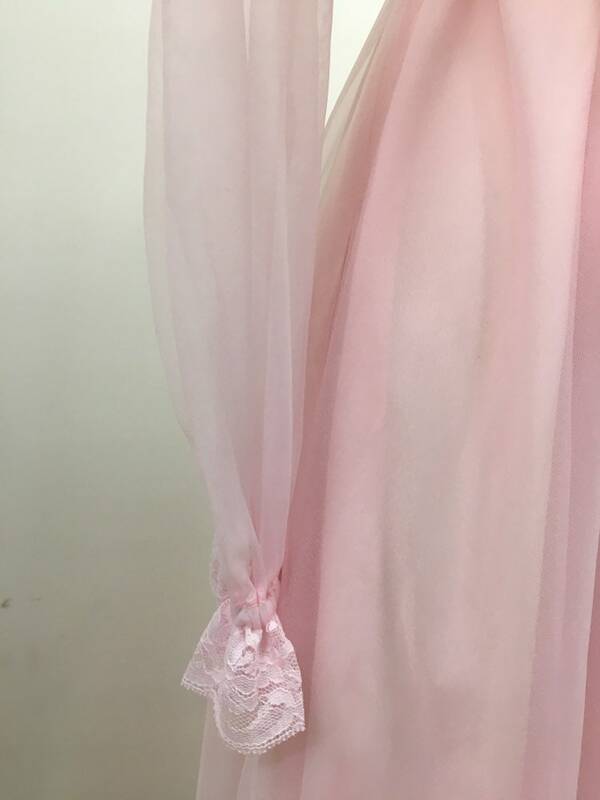 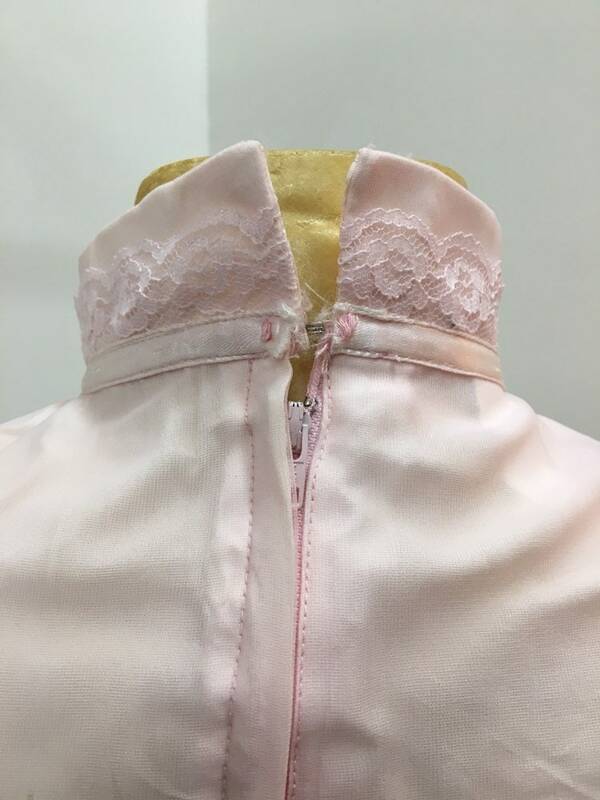 Shown on an extra small 32” bust mannequin.